Advice Home > Huntington's Disease > What Is The Huntingtons Disease Treatment? Huntington's disease is a genetic condition that involves the gradual loss of your nerve cells. Over time, you'll lose control over your cognition, affecting your movement, ability to think, and your ability to live independently. If you have the mutated gene that causes the disease, you are going to get it, and there is yet to be a cure or a way to reverse it. However, there are ways to treat it. In this post, we'll dive into those treatment options. Which are the most effective? Huntington's disease is the gradual breakdown of the nerve cells in your brain, which can surface in middle-age for most people, but it can appear at a younger age too. Huntington's disease is named after George Huntington, who first observed the disease. Huntington's disease is entirely genetic. If your parent has it, then there is a 50 percent chance you may have it too. If you have a family history, it's worth getting tested for it. They can tell you if you don't have the disease, if you're susceptible to developing it, or if you will develop it for sure. It's caused by a mutation in your HTT gene. 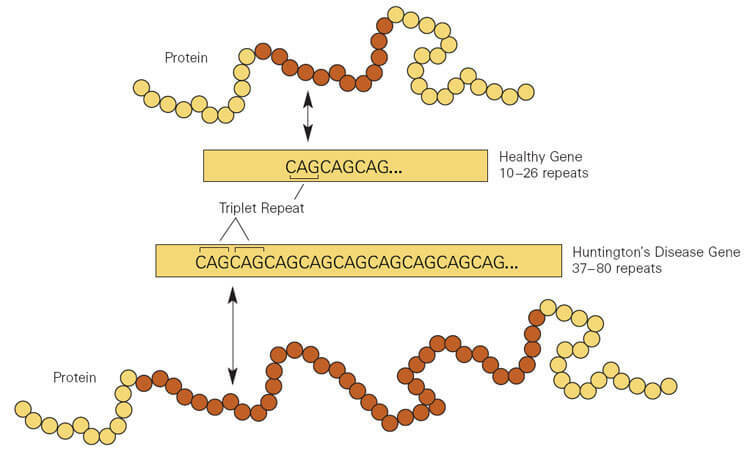 This gene is known for making huntingtin, an essential protein. Huntingtin's use is still not fully understood, but it's believed to help nerve cells stay healthy, and in some cases, prevent them from self-destructing. It makes sense that a mutation in the gene that creates huntingtin may cause problems for your nerve cells. There is yet to be a way to reverse the effects of Huntington's disease or halt the progression of it. However, there are treatments for the symptoms of Huntington's disease. The hope is that these treatments can help the patients live a better life, and slow down the progression so that the person can live a more independent life for longer. Treatment involves tackling the many symptoms Huntington's disease has, starting with the movement. Movement and muscle problems are perhaps the most prevalent of the problems with Huntington's disease. Trouble walking can lead to falls, which can injure or kill the person with Huntington's disease. Involuntary movements, or chorea, can cost someone their job or ability to live a full life. Sometimes, Huntington's disease can affect your speech muscles, making it difficult to talk. Thankfully, there are medications to improve movements. Let's look at a few. Xenazine. This is a medication that is FDA-approved for Huntington's disease since 2008. Also, it can treat Tourette syndrome as well. It can help with the sudden movements, making it easier to live a better life. However, with any medications, there are side effects, and one of the most infamous side effects of xenazine is it can cause depression and sometimes suicidal thoughts. As both of these are prominent in Huntington's disease patients, the usage of this drug should be monitored carefully. If you are unsure about Xenazine, there are other medications to treat chorea as well. These include antipsychotic medications. Risperdal and Haldol are just a few examples. You may wonder why an antipsychotic medication is being used. One of the effects these medications have is treating chorea. However, this usage has not been approved by the FDA, and using these medications is known as off-label therapy. Off-label therapy is legal, but some pharmacies may not want to prescribe it to you. However, these medications can treat psychiatric symptoms, such as agitation, so they can still be prescribed according to what they were approved for. The side effects are less severe, such as dry mouth and drowsiness. Some antipsychotics may worsen your muscle contractions, so talk to your doctor beforehand. Finally, benzodiazepines can reduce your chorea episodes. These are better known by names such as Valium. However, they can make the cognitive problems of Huntington's disease worse due to their sleep-inducing effects. They are also addictive, so use them wisely. Depression. Not only because they're experiencing a disease that will get worse as time goes on, but because Huntington's disease can affect the brain. Obsessive-compulsive disorder. OCD is when you don't feel satisfied after completing a task, and you may obsessively complete the task over and over in hopes you feel satisfied. Huntington's disease can lead to OCD due to how it degenerates the brain. Mania. This is when you feel extremely happy and have such high self-esteem to the point of delusion. Bipolar disorder. This is when you are sometimes experiencing mania and sometimes experiencing depression. Having both with Huntington's disease is possible. This disease can be treated with medication. Anti-depressants, antipsychotics, and other medications can help treat the symptoms and reduce their severity. Physical therapy is another way to treat failing muscles. Working out your body can reduce the effects of Huntington's disease, and a good physical therapist can help. They may be able to teach you how to use your muscles and maintain your balance in the wake of Huntington's disease. As mentioned earlier, your speech muscles can be affected, not only affecting your speech but your swallowing as well. This makes it difficult to communicate. A speech therapist can help you relearn how to speak and get your point across. This involves teaching the patient to use different devices that will help them. You may need assistance walking, eating, dressing, or doing any other life task. 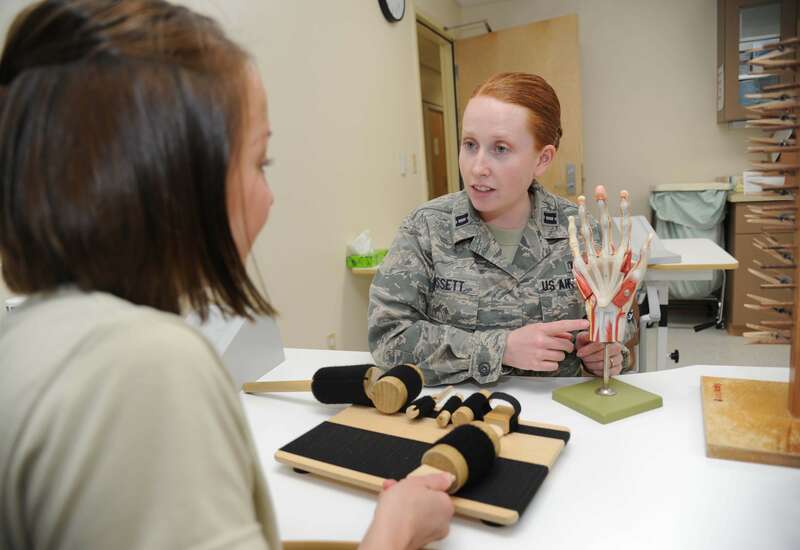 Occupational therapists can help. This involves teaching coping strategies to those affected by Huntington's disease. For many, the idea of living with a disease that will cause them to lose functionality over time is a terrifying one, and Huntington's disease sufferers may need some counseling to learn how to cope. The same applies to families, who may have to take care of their loved one and accept that their loved one will eventually succumb to the disease. Another form of therapy is a support group. People who have the disease can comfort one another, and caretakers can exchange advice and offer hope. Besides taking to Internet forums, there are support groups available, including the Huntington's Disease Society. If you want to treat Huntington's disease, one of the best ways is not to spread it to your children. 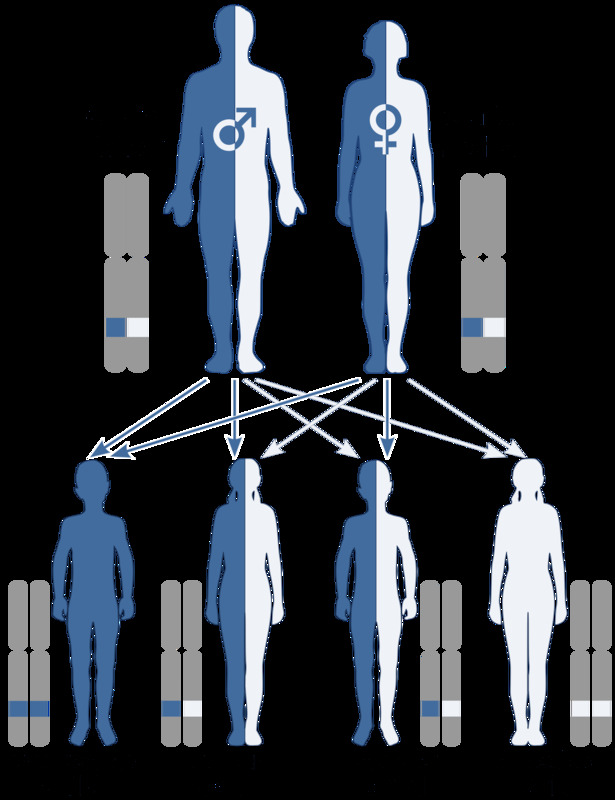 Because Huntington's disease usually emerges in middle-age, many adults have already had children and didn't realize they may be passing on Huntington's disease genes to their child. However, if you know you're going to get the disease, or are possibly at risk for it, you may wonder what you can do if you're going to have children. Seeking genetic counseling may be a solution. They can tell you if your children are going to be prone to Huntington's disease or not, and give you options. Some may want to adopt instead. Others may look for surrogate parents. For those who want to pass their genes on to their next child, but not the Huntington's disease, there is an emerging treatment known as a preimplantation genetic diagnosis. In this treatment, the parents' DNA is used to create embryos. These embryos are tested for the gene that causes Huntington's disease. If the embryo does not contain the gene, it is implanted in the mother's womb. It's a controversial option that is not for everyone, but so far, it's the only way to have children that are genetically yours without spreading the gene. As medicine improves, there have been promising treatments for Huntington's disease. Recently, one such pill, known as Ionis-HTTRx, has been in trial. This pill targets the mutated huntingtin proteins, which can reduce the damage to your nerve cells. Scientists also hope to use this pill to one day fight other diseases such as Alzheimer's. Make sure to follow the news about Ionis-HTTRx for more updates. In addition to treating your symptoms, a therapist can help you deal with any issues you may have. If you're in the early stages of your disease, you may wonder what you can do to accomplish all your life goals before the disease overtakes you. You can also learn how to accept your fate. Many people who have Huntington's disease may end up losing all motivation. They will end up succumbing to the disease quickly rather than treating their symptoms and living a longer life. A therapist can give you the motivation to survive. If you're a caretaker, a therapist can help you not only with your loved one but also with yourself. Being a caretaker of someone who has Huntington's disease can be difficult, and a therapist can remind you that you should treat yourself in addition to your partner. While there is not yet a cure for Huntington's disease, by treating it properly, you can live the best life possible.